If you have a business meeting, corporate event or conference to attend let us worry about the route, the traffic and the parking, our professional uniformed chauffeurs will make sure you arrive at your destination relaxed and on time. Or maybe you have a client arriving in Scotland, make a good first impression, we can collect them at the airport and drop them at their hotel or destination. At White Diamond we know that no two occasions are the same so please get in touch to discuss your requirements. There are many sporting events that take place in Scotland throughout the year, so whether it's a golfing event, a football match, a rugby match or a day at the races we can take you there and bring you back in style, all you need to do is sit back and relax! We are centrally based for both Glasgow and Edinburgh airports. Just married? Start your honeymoon with a trip to the airport in our of our chauffeur driven vehicles. Whether it's a business trip, a holiday, or a romantic weekend away we will get you to or from the airport in luxury. We welcome you to come and view our stunning fleet, just give us a call on 01236 748988 to arrange a viewing. We will be happy to discuss your requirements and tailor a package to your specific needs. 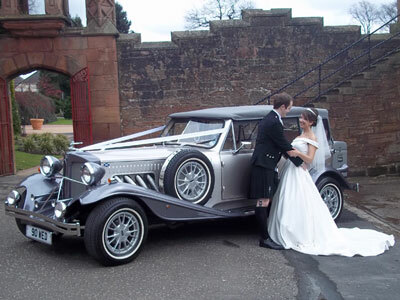 Copyright White Diamond Wedding Cars . All rights reserved.